How can one not be happy when taking in the bright yellow leaves, all the different varieties and heights. Children of all ages adore them, chickens love the sunflower seeds, and even the dog likes to sit underneath them for shade. 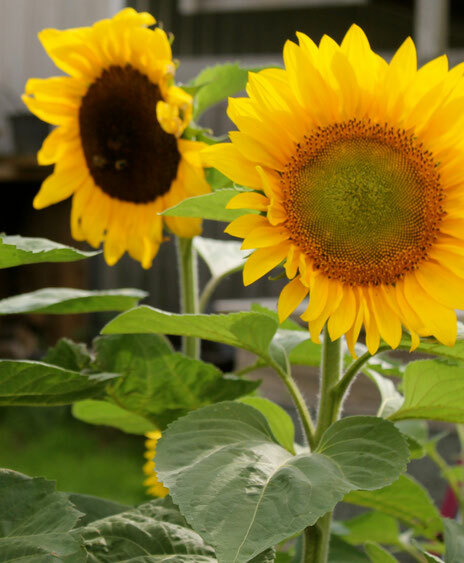 Sunflowers are ideal for beginner gardeners, for a strong and tall flower, it needs little fuss. 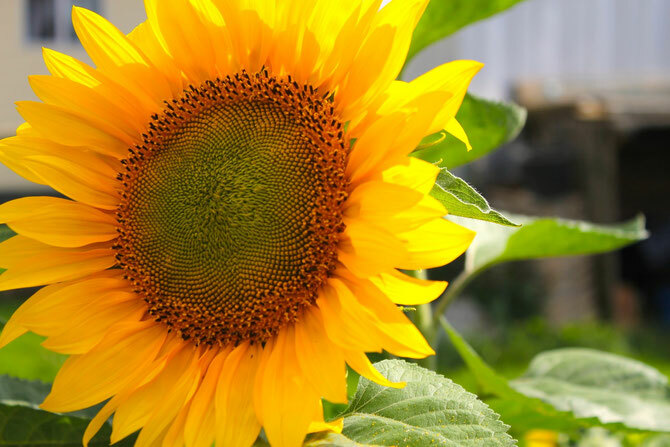 As its name suggest, a sunny spot is the main factor for its success with growth, and you can even grow them in pots inside if you live in a cool climate. 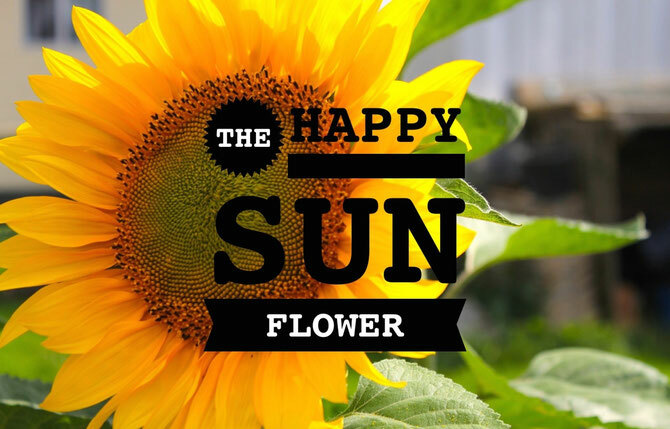 Sunflowers originate from South America, and there are many, many, many varieties. They have wonderful names. 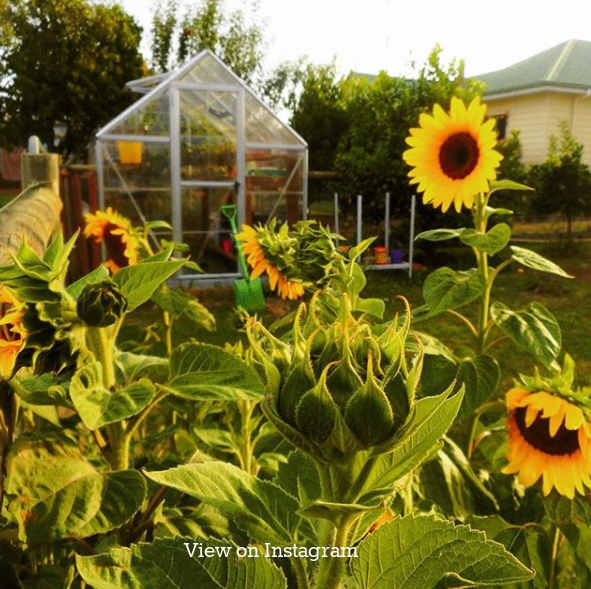 The biggest, "King Sunflower" is one of the most popular here in Australia to grow. 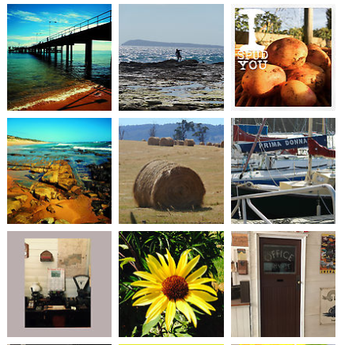 We started out with these ones. 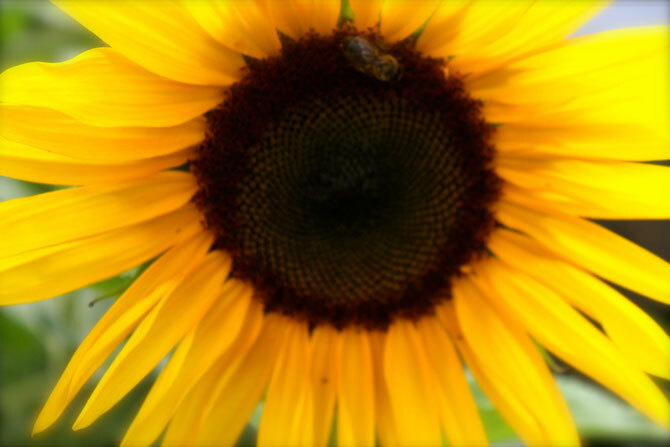 Sunflowers come in yellow, burnt orange, and red varieties. While some come in striking bright yellows, there are also some with pale, lighter lemon shades. The growing, care and maintenance of the flowers do not differ greatly from each other, so we actually mix a few varieties together in a bag and scatter them over our Sunflower patch. Then its a lovely surprise as to which ones will spring up! Children find this lots of fun too. Be careful to plant seeds deep (30cm down) and mulch over the top, because the native birds love the seeds! We plant one for the birds and one for us, so expect about half the seeds to come up and you can fill in gaps later. 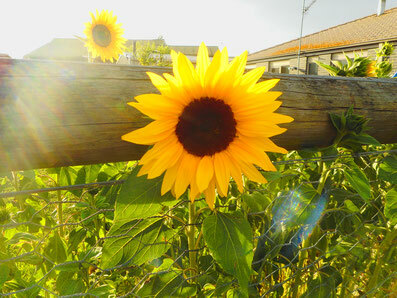 Firstly find a sunny spot, sunflowers need 6-8 hours of sunshine minimum per day. If you're growing them in a pot, you can put them in a sunny window, conservatory or porch. The size of flower varies and is dependant on soil fertility and size of pot. Sunflower seeds are quite large, so this is an ideal activity for the 3 year old to "help" with. Plant 2 seeds in each hole, 30 cm down. This is to ward off the birds and if you plant to, the birds may nick one, but theres still another in the ground (perhaps a little wishful thinking, but one for you, one for the birds). Use manure (chicken or sheep is best), good quality compost or store bought all round fertiliser. 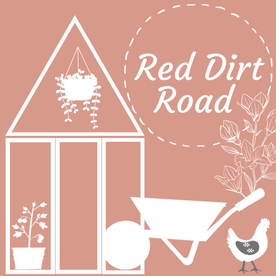 Let it rot or sit in patch for 2-6 weeks before planting or mix into your potting mix. And water in well. Top up with fertiliser or fish emulsion ever 2 weeks once shoots appear. Water in a pot daily and 3-4 times a week in your patch. This is another great activity to do with the kiddies, you can see the flower grow day by day so its lots of fun for them to see the action. 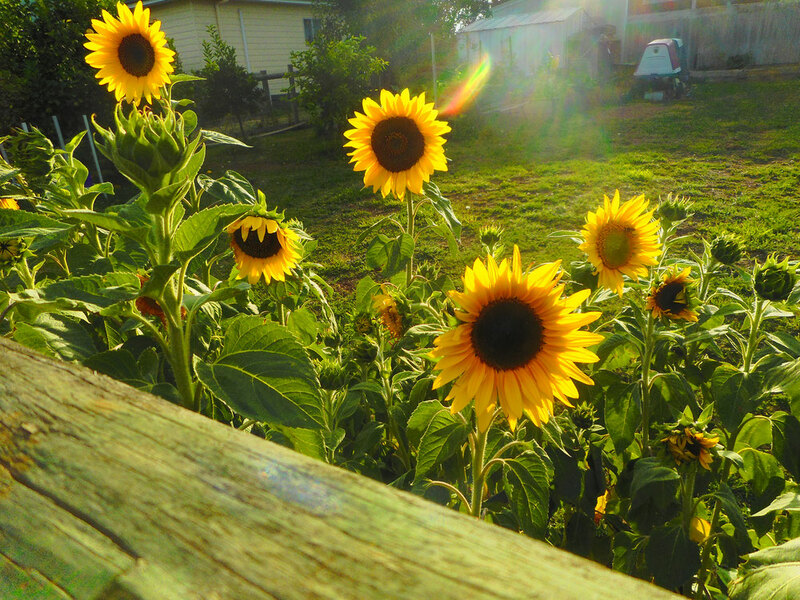 Whats the fun in growing sunflowers if you don't harvest them? 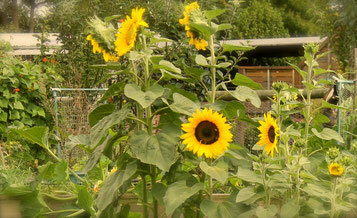 You can keep the seeds to regrow next year, eat them, and feed them to the native birds or your chickens. The seeds are also a superfood, containing magnesium, folate and vitamins B3 and B6. Once it flowers, the flower head loses its petals and the seed head (in the middle) will drop. 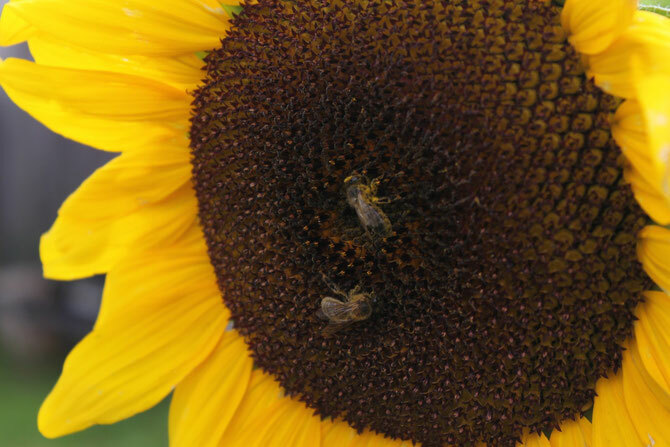 The bees will have popped all the pollen out of the "florets" in the middle, there are over 2,000 on some plants!. As the seed head dries all of the seeds dry behind the floret. If you fear the birds will harvest them for you, you can pop a brown paper bag over them, or cut the head off and place it in brown paper (don't use plastic, they will go mouldy). Once dry (give it 4 weeks) you can pop all the seeds out. 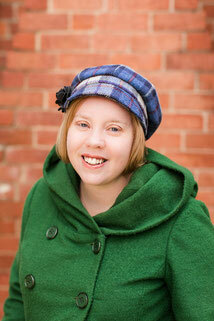 This is also another one of those great activities for the little ones with chubby fingers. Place them in a big jar with a lid and they will keep for months to over a year. Roast them and sprinkle them with spices for a healthy snack, feed them to chickens, add them to breads and baking, or feed them to the chickens. Don't forget to save some to sow for next year.